Medley, FL – All Florida Paper, Inc., for a second year, has been recognized in the exclusive Top Minority Business Awards ceremony hosted by the Greater Miami Chamber of Commerce. This year, the Chamber’s Top Minority Business Awards program highlighted and celebrated South Florida’s minority business community and their dedicated spirit of entrepreneurship in spite of today’s challenging marketplace. The businesses represent a variety of industries and showcase the region’s rich diversity. All Florida Paper, the product one of South Florida’s brilliant entrepreneur Armando Caceres, was founded in 1993 to the serve the growing Hispanic business community’s need for better selection and representation with regards to the paper, plastic, and janitorial distribution. In following through with that vision, All Florida Paper has allowed many of South Florida’s businesses the opportunity to focus on their core competencies, grow revenue and boost employee productivity. Sharing the spotlight of the Top Minority Business Awards were several recognizable South Florida companies such as Florida Blue, Simply Healthcare Plans, and Gus Machado Ford. Presented by Bank of America, this year’s Top Minority Business Awards had businesses representing every sector of South Florida’s business community. 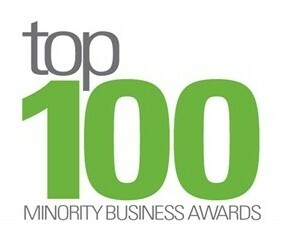 The complete list of 2013 Top Minority Business honorees has been featured in the Miami Herald, South Florida’s most recognizable special publication. The Greater Miami Chamber of Commerce is the voice of business in South Florida, representing more than 400,000 employees of member companies. To carry out its mission, the Chamber involves the private sector in community leadership. For more than a century, the Chamber has been widely recognized and respected for its extraordinary record of economic development and community improvement. The Chamber is nationally recognized as one of the Top 10 Executive Speaking Forums in America.